The staging of Liliana Cavani will lead the next edition of La Traviata by Giuseppe Verdi at the Teatro alla Scala of Milan, from January 11th to March 17th 2019. 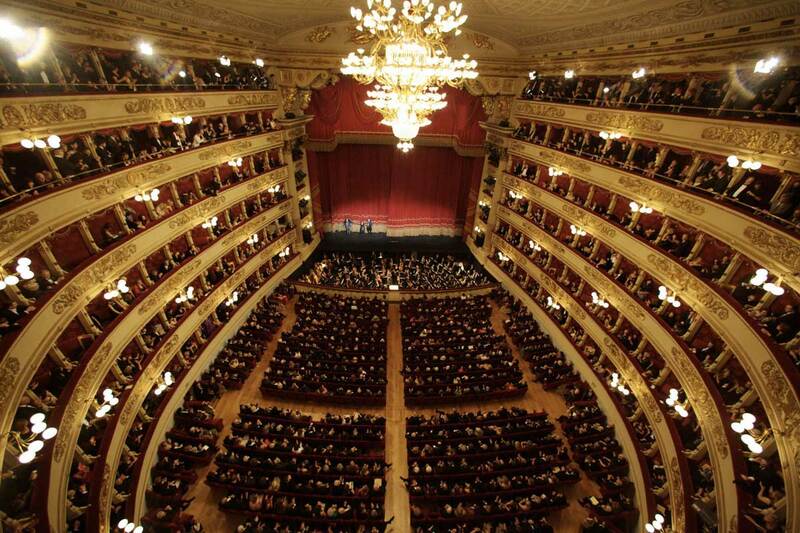 The hospitality of our hotel and the closeness to the prestigious theater, that also this year displays a season of high quality shows, are the perfect reasons to choose the Manzoni as your hotel for the Traviata 2019! The evening of the show or of the premiere , if you want to treat yourself with this privilege, from our location you will be able to reach by foot the Scala, walking through a quiet area of Milan, elegant and charming, starting from the boutiques of Via Monte Napoleone, going to the city centre. If there is no need to give you more information about the Teatro alla Scala, also the masterpiece of Giuseppe Verdi doesn’t need any introduction: we could say that it is no doubt one of the most famous scores of the Emilian composer. Following Simon Boccanegra and Don Carlo, the conductor Myung-Whun Chung goes back to direct Verdi’s opera with the help of the beautiful voices of Marina Rebeka, Sonya Yoncheva, Francesco Meli and the rising star, Benjamin Bernheim. The starring of Placido Domingo as Germont father is then a welcome surprise. The sumptuous staging of Liliana Cavani and the costumes of the Oscar-winning Dante Ferretti, are other elements of interest for an appointment that will surely satisfy all the lovers of live voice exhibitions, without letting down all those that pay particular attention to the staging and costume, thanks to a setting of high-level. After a pleasant aperitif at the bar of Hotel Manzoni, you just need to head in the direction of the theater, enjoying Milan after the Christmas holidays, well covered up, considering the cold period, ready to assist to an event of international fame. book your tickets for the Traviata 2019!